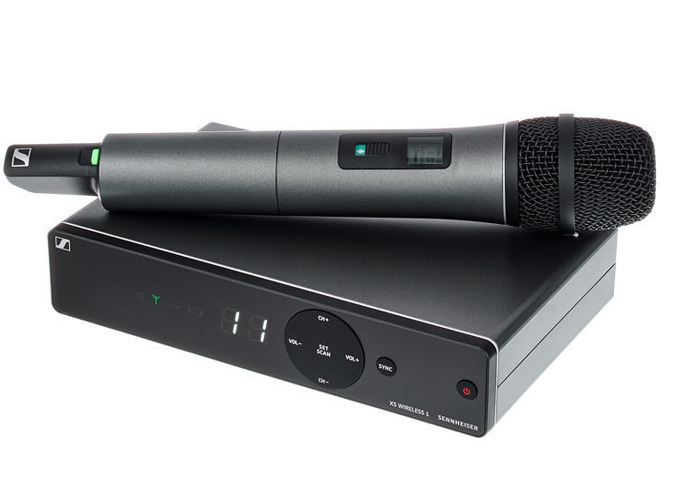 Sennhiser XS1 Wireless Microphone. Easy handling, great sound, reliable transmission! Stand, Clip & XLR included. Drop off can be arranged after request.